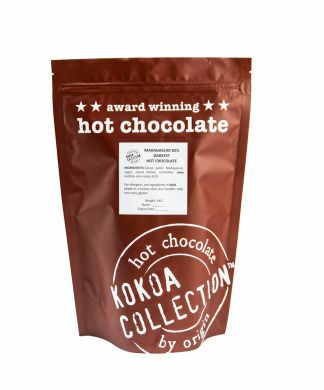 Trade pack of Kokoa Collection hot chocolate tablets. A full bodied hot chocolate, low in sugar. 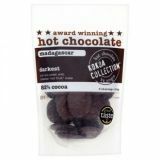 Madagascan cocoa is mostly grown in the Sambirano region in family owned farms that many have been looking after generations. Despite the high cocoa content of 82 per cent the high quality trinitario beans lead to a finished drink that isn't bitter and has a great flavour. Compared to a typical hot chocolate this has a low sugar content. 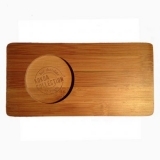 Awarded Great Taste Award 2013.